A group of British POWs are held by the Japanese during World War II and forced to build The Bridge On The River Kwai. 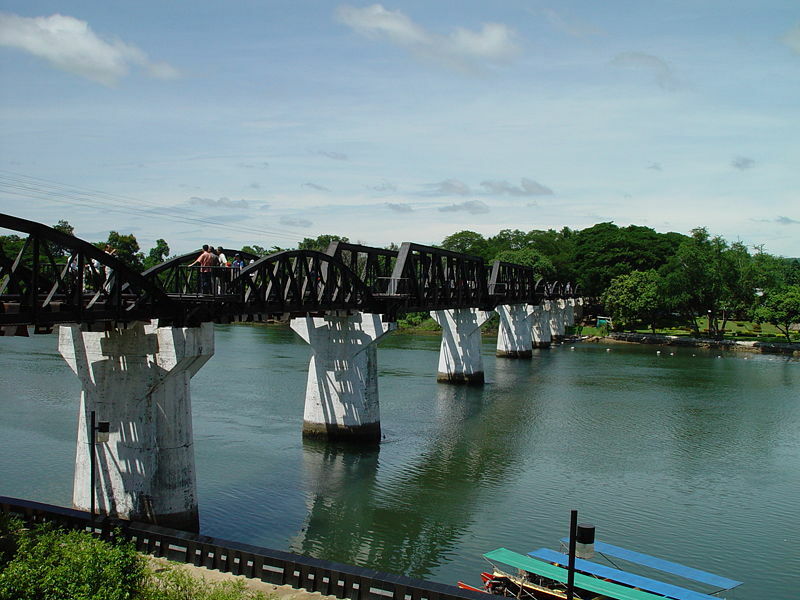 During World War II, after Singapore’s surrender, a group of British troops are led to Thailand as Japanese prisoners and put to work on the railway to Burma and building a bridge over the River Kwai. Lt. Colonel Nicholson (Alec Guiness) is at odds with the Japanese Colonel Saito (Sessue Hayakawa) over officers having to do the same amount of work as the privates and Saito refuses to back down, putting Nicholson in “the oven” without food or water. Unwilling to compromise, upon his release from the oven, Nicholson decides to cooperate and build the bridge as a sign of British ingenuity and loyalty for years to come. Nicholson pushes his men hard to complete the bridge, unaware of the plot to blow up the very bridge he has committed himself to. The Bridge On The River Kwai is a fantastic war epic from David Lean that is fictionalized but historically rooted. Never having seen the full movie in one straight shot, I was worried that the long run time (161 minutes) would bog things down or would create a plot that would be hard to follow. While the film is largely a slow boil, the last 30 minutes or so are incredibly tense and fly by. Amazing performances and direction really help with the pacing of The Bridge On The River Kwai, much like David Lean’s other famous epic, Lawrence of Arabia, which is even longer. One thing I have to point out is how terrific the blu-ray of The Bridge On The River Kwai looks and sounds. Many consider blu-ray to be a format only for cutting-edge special effects films, but this is a shining example of a restored 55 year old film can bring to the format. The picture is, in a word, stunning. The package as a whole matches the picture. 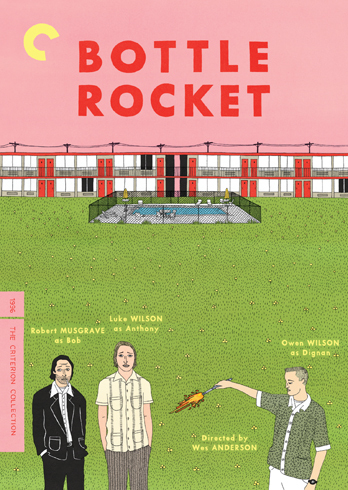 For a non-Criterion/Masters of Cinema release, the care taken here is obvious. While certainly not for everyone, The Bridge On The River Kwai is a unique war movie with a great cast, interesting plot, superb direction. The runtime is certainly a hurdle, but I thought the time flew by after the first 45 minutes or so. The Bridge On The River Kwai certainly worth a shot and once viewed, it’s sure to be a favorite. I was lucky enough to see Bridge on the River Kwai again, this time on the big screen. While I quite enjoyed the film the first time around, seeing it again while it was still fresh in my mind made me realize how amazing the film really is. While I still thought the first 30-45 minutes felt long, I understood everything much better this time around. 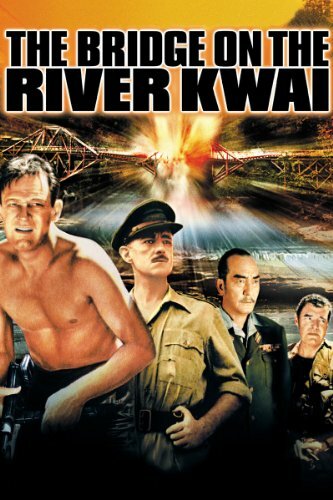 The motivations, the unsaid megalomania, the setting; it all made perfect sense and goes to show what an excellently crafted film Bridge on the River Kwai really is. The theatrical transfer was actually disappointing compared to the blu-ray for at least 20 minutes, it was very grainy but in-focus, and then it was almost like wiping the mirror after a hot shower. The film shone brightly and put the fantastic looking blu-ray to task. Note that I will be upgrading my score from a 4 to a 5 after this second viewing. I give it 4 5 real bridges on the River Kwai out of 5. July was a weird month for me. I really thought that I had been slacking in my movie watching and had been falling behind, but apparently I watched a lot of stuff! I’m definitely on track to reach my goal of watching 300 movies before January 1st but I’ve got to stay focused. Jurassic Park III has some familiar faces traveling to a different island, but one that is also inhabited by a plethora of prehistoric wildlife. While para-sailing near Isla Sorna, a sister island to Isla Nublar from the original Jurassic Park, with his stepfather, young Erik Kirby (Trevor Morgan) gets detached from the boat and has to land on the island. Back in the US, Dr. Grant (Sam Neill) is still working with dinosaurs and has gained some notoriety for his adventures during the first film. 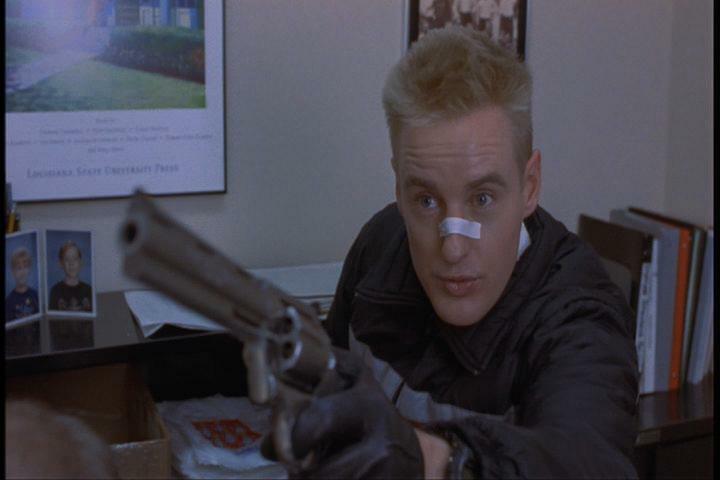 When approached by Mr. (William H. Macy) and Mrs. (Téa Leone) Kirby and promised a huge paycheck under false pretenses, their crew lands on the island for a rescue mission. Obviously the dinosaurs are not pleased by the new visitors. Make no mistake, I know Jurassic Park III is a pretty bad movie but ever since I was really little, I’ve loved dinosaurs. Jurassic Park III‘s subtitle may as well be “let’s see how many dinosaurs we can cram into this thing” because at every turn there’s a dinosaur. The plot is paper thin and the film kindly asks you to disregard using any logic in what it’s showing you, but dinosaurs, man! DINOSAURS! While it’s a totally unnecessary sequel that was an obvious cash grab and scheme to sell toys, Jurassic Park III at least brings back Dr. Grant and Ellie Sattler and it tries its best to form a continuation of the characters after the events of the first two films. The upcoming 4th film in the Jurassic Park series may be even more of a cash grab, turd of a film, but I’ll still probably see it. The magic of this film isn’t that it tries to be as good as Spielberg’s films, it’s that it knows that people love dinosaurs and expands on it. The production values are actually fairly high Jurassic Park III, the special effects notably. I hadn’t watched the film in awhile and was thinking the CGI dinos could end up looking like SyFy’s incredibly crappy movies but they look realistic. There is actually a scene in a river with the main “villain” dino, the spinosaurus, and they use an animatronic instead of CGI and the CGI versions look more alive. If you go into Jurassic Park III wanting a dumb, dinosaur-mauling good time then I think you’ll be pleased. 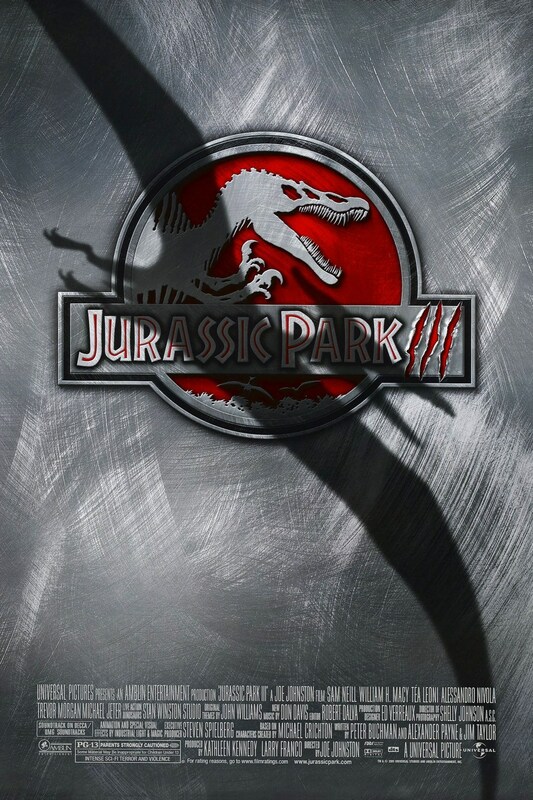 Thinking Jurassic Park III is anything more than that will likely disappoint. I give it 3 real-life spinosaurus skeletons out of 5. A man and woman’s entire meeting, friendship, relationship, and breakup are detailed during the (500) Days of Summer. Tom (Joseph Gordon-Levitt) works at a greeting card company when one day, he sees the girl of his dreams, Summer (Zooey Deschanel). Instantly in love, Tom makes it his mission to be with Summer and over time, the two become friends. Summer is reluctant to be in a relationship, but her and Tom become more than friends. After their breakup, Tom seeks advice from his best friends and younger sister, Rachel (Chloe Grace Moretz) on what to do. The story is told in a non-linear fashion, jumping back and forth between the stages of Tom and Summer’s entire relationship. 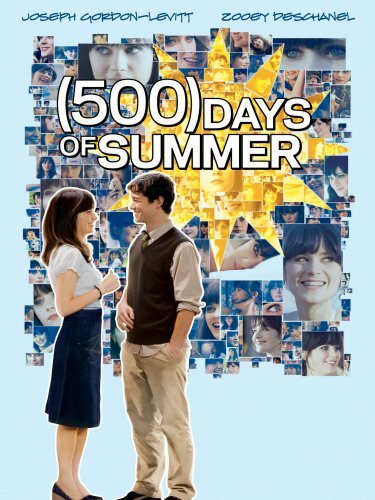 According to the omniscient narrator, (500) Days of Summer is not a love story, simply the story of “boy meets girl” and since we know from the start that Summer and Tom break up, I suppose that is true. I strongly hesitate to call this a romantic comedy and while it does have the necessary elements of a rom-com, it is decidedly not a “chick flick”. Had this film been made in the 80s, Tom would have almost certainly been played by John Cusack but Joseph Gordon-Levitt does an admirable job. Zooey Deschanel plays her usual cute, quirky self here but since this was the movie that kind of put her on the map, she is a bit more subdued than she is in that annoying Apple commercial. I think all of us have known girls like Summer, perhaps even dated one and I certainly can relate to Tom (though I wish I had his sense of dress). Having such a funny, realistic story really makes (500) Days of Summer a really enjoyable film. Marc Webb, who recently directed the Amazing Spider-Man, is at the helm for (500) Days of Summer and his style works brilliantly with the characters and the drawings done on screen. The way the story plays out and the title card animations indicating the number of day reminded me a bit of Eternal Sunshine of the Spotless Mind, a connection I hadn’t made before but Eternal Sunshine is fresh in my mind now. Since relationship movies are practically a dime a dozen, when one stands out, it’s usually a good thing. (500) Days of Summer has the right amount of kitsch, humor, and sadness to make it memorable even if you don’t care for Zooey Deschanel. I give it 4 life becoming arts out of 5. In Woody Allen’s Shadows and Fog, there is a serial strangler on the loose and a bookkeeper gets caught up in the town’s madness. A vigilante mob on the search for a strangler wakes up Kleinman (Woody Allen) to help them track the killer down. Outside of town, a group of circus performers is staying. Irmy (Mia Farrow), a sword-swallower, and Paul (John Malkovich), a clown, are having a dispute which causes Irmy to travel into town for a place to stay. She finds herself in a brothel, and after receiving $700 from a young patron (John Cusack), she is arrested. Kleinman is also at the police station and as the two are leaving, they become close to avoid any danger from the strangler still on the loose. Woody Allen pays homage to German Expressionism in Shadows and Fog and apparently it was a huge miss with audiences and many critics. 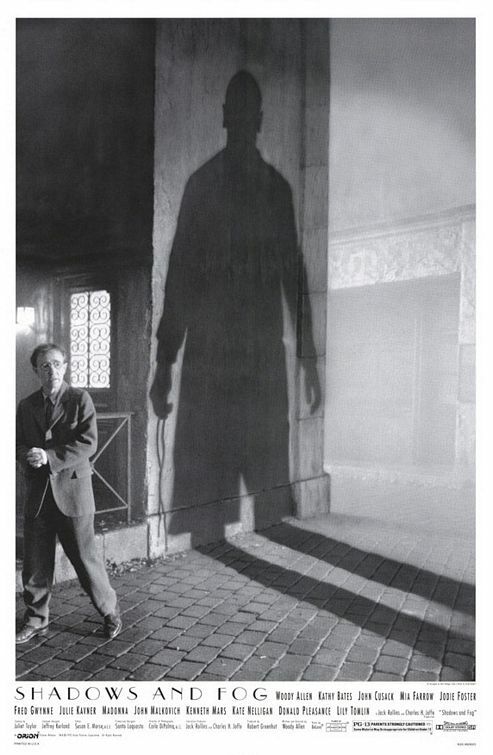 I found myself quite taken with Shadows and Fog, partly because of the star studded cast but also because of the natural comedy from having Woody Allen in a noir-like setting. On the surface, this is not a typical Woody Allen film but it’s definitely a Woody Allen film, it’s just in a different wrapper. When I first heard of Shadows and Fog, I wasn’t sure what to expect but I imagined a serious film where Allen completely steps out of his comfort zone and does something totally unexpected. This isn’t the case, however, despite having a dark feel, having Allen injected into the film’s world significantly changes the tone. This is what makes Shadows and Fog so confusing. It’s clearly an homage to films like M, but Allen keeps you laughing more than worrying. I understand why Shadows and Fog was one of Gene Siskel’s picks for worst of the year, but I also found myself enjoying it. 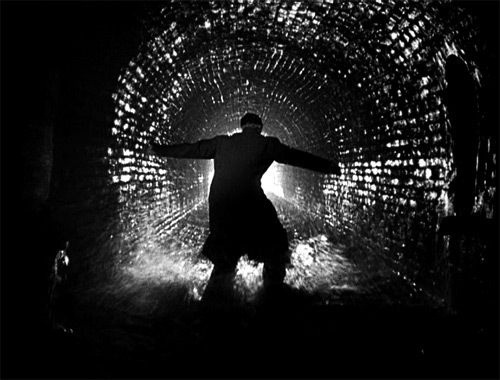 As one of Allen’s most expensive pictures, Shadows and Fog was a huge flop at the box office and it seems to be fairly unknown from what I can tell. I’m not sure who the target audience should be for a film like this and I’m finding it difficult to even recommend it outright. I will say that I enjoyed watching Shadows and Fog because I was keen to try something new from Woody Allen. I give it 4 Third Man tributes out of 5. 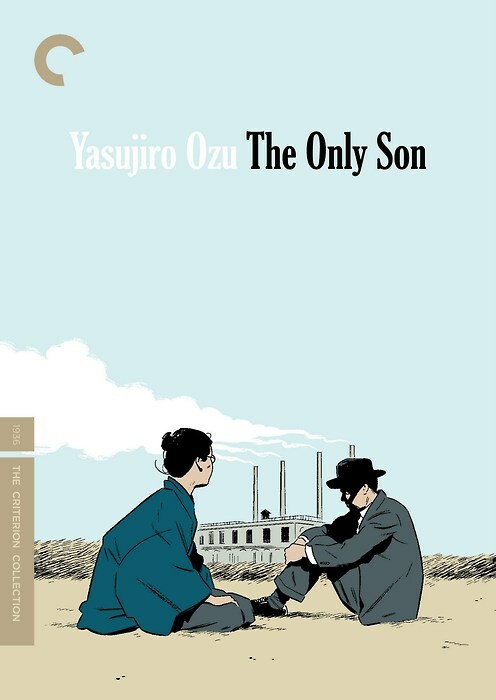 The Only Son is a film about a mother who sacrifices everything for her son’s education and visits him as an adult. In a small rural Japanese town, widow Tsune (Chôko Iida) is raising her young son Ryosuke. When Ryosuke wants to continue his education into middle school, Tsune is persuaded by teacher, Ookubo (Chishû Ryû), to let him continue. Tsune sacrifices everything financially in order for Ryosuke to make his way through college. In return, all she asks is that Ryosuke grow to be a great man. Years later, Tsune visits Ryosuke (Shin’ichi Himori), who has a family of his own but struggles financially as a night-school teacher, much to his mother’s disappointment. Earlier this year, I watched a film by Yasujirô Ozu that many consider his finest work, Tokyo Story. That was my first foray into Ozu’s work and I was blown away by the simple story could be so captivating and heart-wrenching. I am pleased to say that The Only Son is also a great film that seems entirely too simple but is so finely crafted that it accomplishes more with very little than most movies could ever hope to. With only a handful of actors, realistic dialog and totally static cameras, The Only Son almost feels like a documentary of a family that doesn’t know they are being filmed. 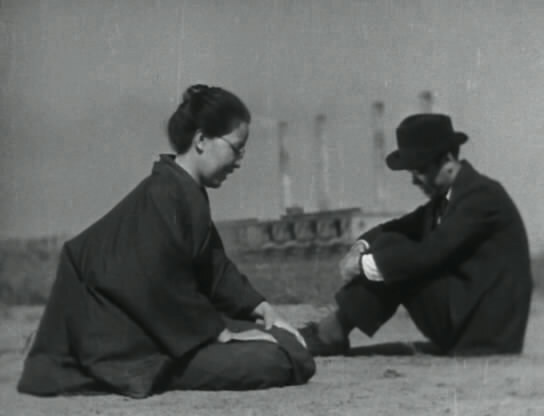 The magic of Ozu’s films is their simplicity and the emotions they are able to convey. The Only Son makes you want Ryosuke to succeed. You sympathize that this poor woman has literally given up everything to her name in order for Ryosuke to have success in life and while he has a loving wife and young baby, he is not doing the best of his ability in his career. Some of you may be wondering why the importance is placed on a financially successful career being the marker for having a successful life, and I would agree to a point but you have to put yourself in Tsune’s shoes. She is a widowed single mother who becomes homeless, scrubbing floors in a factory, all so her only son can become something great. I’m sure there are many cultural meanings in The Only Son that I am not picking up on since I am not Japanese, nor do I know what their culture was like in 1936. The film gives little insight into these aspects, but it largely makes no difference since the family themes are universal and timeless. Since I am still new to Ozu, I feel compelled to watch as many of his films as possible because they are so moving and human. The Only Son is his first talkie, but it has held up incredibly well. I give it 4 scenes from the cover art out of 5.